The school’s motto is ‘ut prosim’, meaning That I May Serve. It is exemplified in many ways in the school every day. At the simplest level, students are encouraged to care for one another, to act as a team. At the broader level, students are encouraged to look to the wider community and to respond to the needs of others there. Year 11 students may become Ut Prosim Leaders who devise a variety of programs to assist others. The Programs change each year. Year 8 students may opt to participate in a Youth Mentoring Program through which they develop projects to help others, with the assistance of a mentor. Special Focus is given to Years 9 and 10 students who participate in broad ranging community service activities. Year 9 enjoy a program through which they assist citizens in nursing homes. This culminates in a Christmas Concert for elderly nursing home residents that is run by and features the Year 9 students. 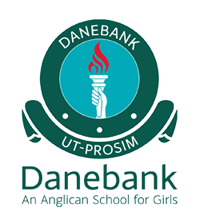 Danebank supports the Katoke Lweru School in Tanzania which aims to assist Tanzanian families to escape poverty through the education of their children. The secondary school supports the homeless by raising funds and donating goods to assist people who are homeless. A number of older students also attend the distribution of the goods to the homeless. Our students also contribute to the wider community in other ways. They fundraise for charities, they make and sell items for charities and participate in events, the proceeds going to charity. In the last three years, our school community has donated more than $100,000 to many causes. Leadership opportunities are extensive, in a range of activities including academic, sporting, community service, house leadership and school representation and service. Students may become Prefects, House Leaders, SRC (Student Representative Council) leaders, Ut Prosim leaders, Band leaders, Chapel leaders, Leaders of various clubs and activities, sporting Captains of teams and general sports and Bond leaders. Prefects undertake important school leadership positions. Prefects are voted for by their peers and by staff members. The Year 12 positions include School Captain, Vice Captain, Sports Captain and other Prefects who undertake a variety of responsibilities e.g. Creative Arts or Science Prefect. There are five Year 11 students also elected each year to become Prefects. These students assist with a range of projects. There are 4 Houses – Ball, Cowell, Richmond and Gray. Positions include House Captains, House Vice Captains, House Sports Captains and House Treasurers. All secondary students elect their class SRC representatives. The SRC is a very active body that arranges fund-raising and other community outlook activities. Year 11 Peer support leaders act as buddies to the incoming Year 7 each year. All secondary students belong to a bond group that meets twice each week to discuss matters of concern, to foster leadership, to establish a sense of community, to foster an understanding of other year groups and to discuss wider issues in the school.